Enshrined in the green and white setting of the alpine Massif, Grenoble has the ceculiarity of being at once the Capital of the French Alps and the flattest town in Europe. For a long time, the Gallo-Roman village of Gratianopolis, built around the Saint Laurent wooden bridge, was used as a military garrison. With the rise of the Dauphiné Parliament it became a town of administration and justice. When the Dauphiné became the appanage of the King of France, the King's son took the title of Dauphin. 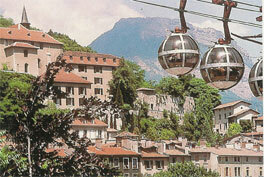 Grenoble has certainly left its mark on the History of France since it is here that the French Revolution held its general rechersal in 1788. This historical town is also a centre of art and culture, and if Stendhal gave it a literary reputation, idea men such as Champollion, the decipherer of hieroglyphics, or Vaucanson, father of the automaton, are only at the beginning of a line of different schools. 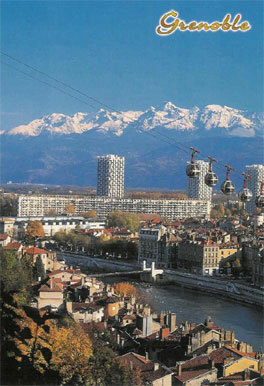 Today still, Grenoble is a town which teems with initiatives and creations. The traditionnal industries such as the paper mill or the glove factory have become part of history, but Grenoble is today a town of advanced technologies where computing, electronics etc... have reached world standards. 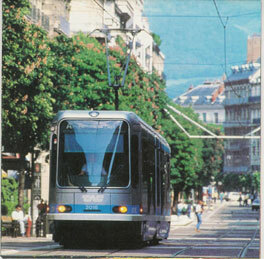 Shouldered by a dynamic University which groups together over 40,000 students and by a center of research which is making new discoveries every day, the Capital of the Dauphiné has become, on the eve of the year 2000, a technopolis with an important role to play in the making of Europe.